You want to change that basement space to a habitable place in your property in Edinburgh, Dalkeith or somewhere else in Midlothian? David Love Property can do all work related to basement conversions. Yes, we understand that utilization of buildings space is important, give our team of experienced builders a call and see what we can do for you to make great use of your basement space. We will get you as much useable space as possible. Due to rising house prices, basement conversions are nowadays becoming more popular in Edinburgh and Dalkeith. Our skilled and well-versed builders will advise you on the available conversion designs that best suit your basement. We are also able to provide information on how long it will take for the conversion to be completed. There are regulations that govern basement conversions and we are aware of them we can also advise you what can be done so that you reduce the cost of maintenance and repairs and comply with the regulations. There are a number of reasons that may lead a property owner to convert a basement to a useable living space, it is imperative to note that the unconverted basement is always dark and cold hence does not make it habitable or useful, not even storage suits the basement. Our Edinburgh based builders can carry out all aspects of work: excavation, foundations, damp-proofing and insulation. Our team of electricians, plumbers, joiners, tilers makes us the one stop company that can take care of all your building needs. Since the basement is always the foundation of your property, we recommend that you talk to us about this kind of delicate work; we are the professionals in basement conversion. We are also available for maintenance and to carry out repairs to already existing basement conversions. Why not give us a call and see what we can do for you. 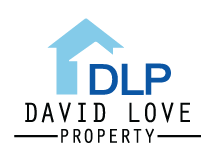 Call David Love Property on 0131 6549960.